Add a Rock Spike Extractor, a post puller kit, or the 250mm mast shift for 4 way mast movement. Ideal for one man operation. The Mule is a seriously tough post driver that will adapt to all fencing conditions year after year. 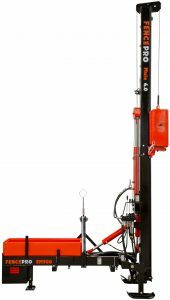 Can be fitted with all Fencepro options including the Rock spike extractor, Rock Drill or auger. Jan/Feb 2018 special price only $16,250 + GST.